An online master’s degree in counseling prepares students for a wide array of counseling jobs in different educational, clinical and professional settings. The state requirements vary for each of these sectors, but most prefer an advanced degree in counseling from a reputable and accredited school. Students often choose an online course because they can gain their master’s degree in counseling as they continue to work. The flexibility of the online courses offers them the dual benefit of attaining a degree and gain hands-on work experience at the same time. Depending on individual pace, a master’s in school counseling online degree can be earned in one to five years. Students who wish take advantage of the flexibility and spread their workload out, opt for the latter duration. Those who wish to complete their master’s degree faster, opt for an accelerated format and complete the program in 12-18 months. An online master’s degree in counseling curriculum blends on theoretical approaches to counseling with practical courses that combine case studies and research-based evidence. Students have the option to choose a specific pathway or specialize in areas like career counseling, substance abuse counseling, juvenile counseling, mental health counseling, genetic counseling, or school counseling. Depending on the pathway, the United States Department of Labor’s Bureau of Labor Statistics states that the employment for counselors is projected to increase between 13% and 26% through 2026. There is immense potential for growth for students who hold a master’s degree in this field. 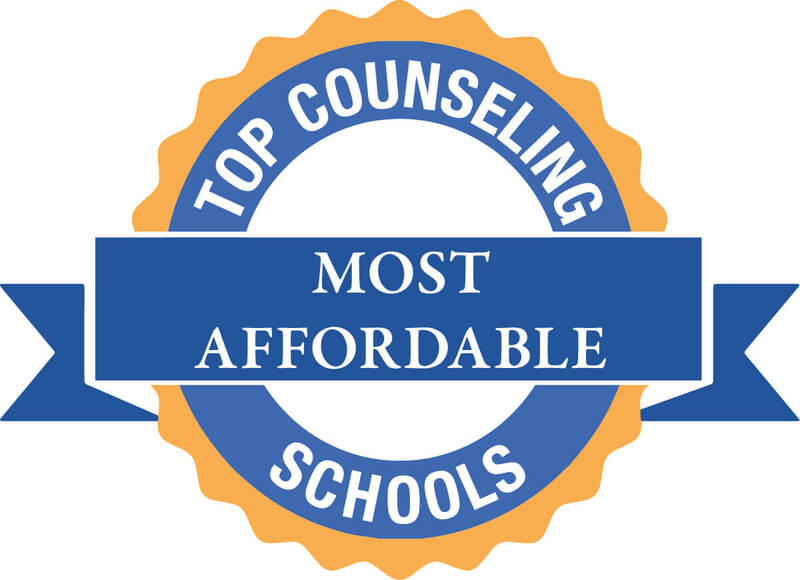 Let’s look at the top 29 most affordable online master’s in school counseling for 2019. Below is a listing of the 29 cheapest online master’s in counseling. The programs are ranked primarily by the affordability of tuition. Also considered are a program’s accreditation, reputation, and academic quality. 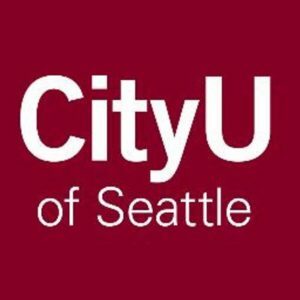 The City University of Seattle offers an Online Master’s in Professional School Counseling in a blended format that includes online classes and in-person meetings. The 90-credit program includes courses like counseling theory and practice, family structures, group counseling, introduction to school counseling, societal issues in counseling along with a practicum. Students can choose from various specializations to tailor their degree per their career interests. These include Clinical Mental Health Counseling, Addiction Counseling, Marriage, Couple and Family Counseling, and Professional School Counseling. The curriculum aligns with the American School Counselor Association model, and graduates get a strong foundation to pursue higher education like the Doctor of Education in Leadership. Major publications like U.S. News and World Report recognize the City University of Seattle as a top regional institution in the West. Also, in recent years, the online graduate education programs have earned recognition. 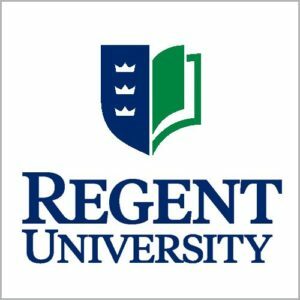 Regent University offers an Online Master’s in School Counseling which is designed for individuals who want to become counselors in K-12 schools and other educational settings. The program prepares students to become effective school counselors who can empower others with skills and resources learned in this course. The 60-credit program blends theory with hands-on fieldwork to help students put classroom lessons into practice. They gain solutions-focused skills to address real-world problems faced by students today. Courses include orientation to the counseling profession, counseling children & adolescents, principles of school counseling, research & statistics, program development & evaluation for school counselors, counseling skills & techniques, practicum & advanced skills, theories of counseling, assessment techniques in counseling among others. 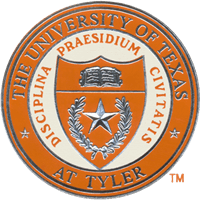 The University of Texas offers an Online Master’s in School Counseling program that prepares students for the TExES professional school counselors’ certification examination. The school boasts of a 100% pass rate in this regard. Designed for working professionals the fully online program boasts of an excellent faculty and rigorous curriculum. It offers an excellent foundation for a career in counseling in a school setting. The 48-credit program includes courses like foundations and ethics of school counseling, applied school counseling, assessment techniques in counseling, mental health in schools, supervised internship in school counseling and research and program evaluation. The program curriculum is designed to align with the Texas School Counselor standards and the American School Counselor Association (ASCA) guidelines. This degree meets the requirements for counselor certification set forth by the Texas State Board of Educator Certification (SBEC). 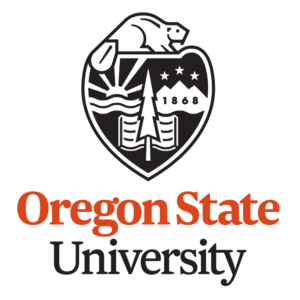 Oregon State University offers an Online Master’s in School Counseling via its College of Education. It is provided in a hybrid format which means that it is a 50/50 blend of online and in-person instruction. Students are prepared to utilize their learned skills in individual and group counseling and deliver comprehensive school counseling services to all students. The focus will be to increase college-going rates among underrepresented populations. The 75-credit program includes courses like group counseling procedures, developmental perspectives in counseling, addictive behavioral counseling, cross-cultural counseling, leadership for school counseling programs, and special education issues. The program is accredited by the Council for Accreditation of Counseling and Related Educational Programs (CACREP) and the National Council for Accreditation of Teacher Education (NCATE), as well as Oregon’s Teacher Standards and Practices Commission (TSPC). 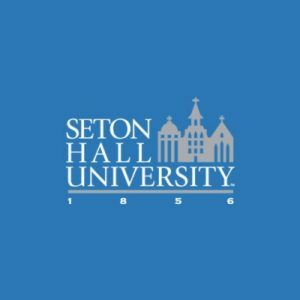 Seton Hall University offers an Online Master’s in School Counseling via its College of Education and Human Services. The accredited online master’s in school counseling degree program is designed for individuals who wish get counseling positions in K-12 public or private schools. The 100% online program prepares school counselors to develop core programs and maximize the potential of students. All classes are delivered online and taught by Seton Hall professors who teach the ground program as well. The 48-credit program includes courses like multicultural counseling and psychology, appraisal and assessment in counseling, group counseling, career and development counseling, and principles of learning and behavior modification. The program is accredited by the Council for the Accreditation of Educator Preparation and approved by the New Jersey Department of Education. The University of Massachusetts offers an Online Master’s in School Counseling via its College of Advancing and Professional Studies. The 60-credit program includes three core areas: counseling, education, and psychology. The program meets the licensure requirements for the state of Massachusetts. It is designed to meet the needs of students enter the School Counseling field in local, national and international settings. It is aligned with the academic requirements for certification in the state of Massachusetts as a School Counselor. The University of Massachusetts is accredited by the New England Association of Schools and Colleges (NEASC). The School Counseling Online Program is approved by the Massachusetts Department of Education. The program is accredited by the New England Association of Schools and Colleges. Edinboro University offers an Online Master’s in School Counseling that prepares students to work with a diverse school population, providing counseling services. The high-quality learning experience prepares graduate students to work in a variety of academic settings. The CACREP-accredited program is delivered online and taught by an experienced faculty. The 60-credit program includes courses like Group Processes, Appraisal Techniques in the Helping Professions, Human Development Across the Lifespan, Career Development and Life Planning, Counseling and Consultation Theories, Organization and Development of Programs in the Helping Professions, Supervised Counseling Practice, Multicultural Counseling, Research Seminar in Guidance and Counseling or Research in Education. Students have to complete a practicum and internship as well. Capella University offers an Online Master’s in School Counseling that is designed to create a new generation of K-12 leaders. The unique and rigorous curriculum consists of seven core courses, five specialization courses, two residencies, one integrative project, an internship, along with a practicum. The 72-credit program includes courses like introduction to school counseling, contemporary issues in school counseling, school counseling program development and evaluation, group counseling and psychotherapy, and theories of counseling and guidance for children and adolescents. In the course of this program, students learn to apply counseling and child development theories to practice, think critically, and communicate effectively in a professional school counseling context. The program and school are accredited by NCATE and CACREP. U.S. News and World Report recognizes Capella as a top national university. 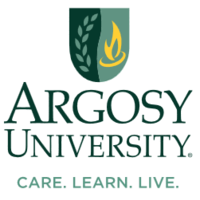 Argosy University offers an Online Master of Arts in Clinical Mental Health Counseling that prepares graduates to work with groups and individuals in various settings. Their strong foundation in counseling and psychoeducation prepares to excel in their careers and impact lives positively. The 45-credit program includes courses like Counseling Theory-Human Growth and Development, Counseling Skills, Foundations of Mental Health Counseling, Professional and Ethical Issues, Group Counseling, Multicultural Diversity and Advocacy, Research and Program Evaluation, Appraisal and Assessment, Career and Lifestyle Development, Couples and Family Counseling, Diagnosis and Treatment of Behavioral and Emotional Disorders, Trauma Impact and Counseling and Substance Abuse Counseling. Students can choose from various electives to tailor the course per their interests. They also need to complete a Practicum and Internship as a part of the course. Argosy University is accredited by the Senior College and University Commission of the Western Association of Schools and Colleges. Concordia University offers one of the most affordable Online Master’s in Counseling programs via the Townsend Institute. Concordia University graduates get strong foundational knowledge that allows them to work in a variety of school settings as a counselor. The 60-credit program includes courses like Personal Development Skills Process Group, Human Growth and Development, Theory and Techniques of Counseling, Clinical Psychopathology and Diagnosis, Theory and Practice of Groups, Legal, Ethical and Professional Issues, Foundations and Contextual Dimensions of Mental Health Counseling, Social and Cultural Foundations, Theory and Practice of Assessment, Advanced Skills of Mental Health Counseling, Foundations of Crisis and Trauma Counseling, Career and Lifestyle Development, Foundations of Addiction Counseling, Methods and Practice of Research and Evaluation and Counseling Skills and Techniques, The program can lead to licensure in most states for interested students who choose from a variety of electives to tailor the program per their needs. 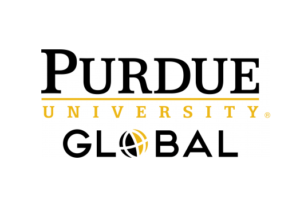 Purdue Global University offers an Online Master of Science Degree in Psychology that prepares graduates to meet the educational requirements for certifications in behavioral analysis or addictions. The 75-credit program includes courses like Foundations of Professional Psychology, Applied Statistics for Psychology, Lifespan Development, Advanced Research Methods along with Testing, Measurement, and Assessment. Students can choose from the four concentrations to align with their career goals. These include General psychology, Addictions, Applied behavioral analysis, and Industrial/organizational psychology. This program emphasizes practical application, so students gain the tangible real-world skills that they need to help others. 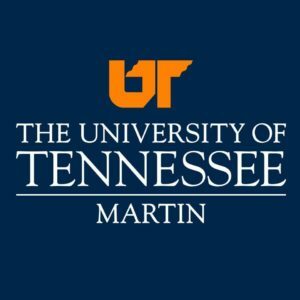 The University of Tennessee offers an Affordable Online Master’s in School Counseling that prepares graduates to become licensed mental health counselors or school counselors. The 48-credit program has three concentrations like School Counseling, Clinical Mental Health, and School Counseling Endorsement. The School Counseling concentration includes courses like Research in Education, Multicultural Issues in Education and Counseling, Introduction to Counseling, Growth and Development Across the Lifespan, Professional, Ethical and Legal Issues in Counseling, Theory and Techniques of Counseling, Career Development and Counseling, Group Dynamics, Principles of Crisis Intervention, Mental Health and Psychopathology, Individual Appraisal, along with a Counseling Practicum and Internship. Our current programs prepare students to earn licensure as either a Clinical Mental Health Counselor or a School Counselor. 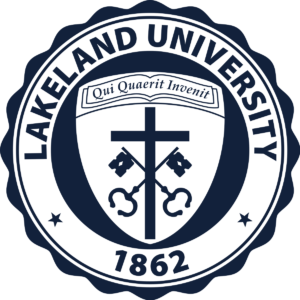 Lakeland University offers an Online Master’s in Counseling that helps educational professionals become school counselors. The accredited online master’s program aligns with the Wisconsin Department of Public Instruction and prepares students for licensure and certification as a Wisconsin, school counselor. The 60-hour program includes courses like foundations of school counseling, structure and organization of school counseling and practicum in school counseling. The clinical mental health counseling emphasis meets the requirements for a Wisconsin Licensed Professional Counselor (LPC) as set by the Wisconsin Department of Safety and Professional Services (DSPS). The higher education counseling and student affairs emphasis aligns with the Council for the Advancement of Standards in Higher Education (CAS), along with the professional competencies endorsed by the American College Personnel Association (ACPA). U.S. News and World Report ranks Lakeland #126-#165 in best regional universities in the Midwest. 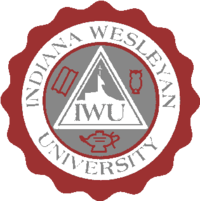 Indiana Wesleyan University offers an online master’s in school counseling which is accredited and ranked. It is designed for individuals who wish to work as school counselors in public and private K-12 schools. Graduates go on to work at university levels and community colleges as well. The 48-credit degree integrates of Christian counseling principles within the core curriculum. Courses include human growth and development, research and evaluation of methods and practice, appraisal of individuals and families, and theory and techniques in the helping relationship. Graduates are prepared to help students in their growth, development, and counseling needs. The 100% online program is taught the same faculty that teaches the on-campus program. The program is accredited by the Council for Accreditation of Counseling and Related Educational Programs and the Council of the Accreditation of Educational Preparations. 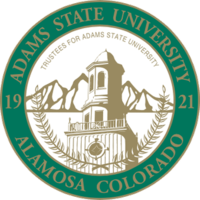 Adams State University offers an Online Master’s in Counseling that preps students for licensure as a school counselor and/or licensed professional counselor in the state of Colorado. The CACREP-accredited aligns with the state academic requirements. Students can choose from two different emphases: clinical mental health or school counseling. 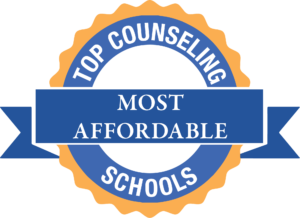 The 60-hour program includes courses like comprehensive school counseling, foundations of school counseling, counseling modalities in a school setting, and professional school counseling issues. The online Master of Arts in Clinical Mental Health Counseling and School Counseling programs are also accredited by the Higher Learning Commission and the Colorado Department of Education. The University of Central Arkansas offers an Online Master’s in School Counseling that prepares the new generation of school counselors for public and private K-12 schools. Graduates of the program gain knowledge in counseling theories & therapeutic techniques, ethical and professional standards of care to succeed in various counseling settings. The 60-credit program includes courses like career guidance for school counselors, foundations of school counseling, educational assessment, and measurement, instructional and behavioral strategies for school counselors along with practicum and research methods. Students have the option to choose the add-on licensure track or an initial licensure track. Graduates go on to become Licensed Professional Counselors through the Arkansas Board of Examiners in Counseling. 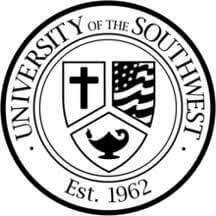 The University of the Southwest offers an Online Master’s in School Counseling that is considered one of the highly affordable programs in this niche. Through this program, students develop the knowledge and skill sets to interact effectively with students and their families from varying backgrounds. The 42-credit program includes courses like career development and life planning, group counseling, professional and ethical issues in school counseling, crisis, and trauma interventions, and program development and management. The rigorous curriculum prepares students for licensure as school counselors in elementary, middle, high school and higher educational settings in the state of New Mexico. Students need to complete practicums and an internship in public or private K-12 school. The MS in Education – School Counseling is accredited by the New Mexico Public Education Department. The University of North Dakota offers an Online Master’s in Counseling with a K-12 School Counseling focus. It is designed for individuals who wish to work as counselors within K-12 school systems. The 48-credit program includes courses like counseling methods, dynamics of addiction, multicultural counseling, diagnostic and prevention strategies in counseling, lifespan development in counseling, and theories of counseling – personality and development. Most students complete the program in two and half years. Designed for working adults, it offers live online classes in the evening, as well as two four-day visits at the university campus during summer terms for hands-on experience. A semester-long practicum and internship in a school within the student’s local community are required for degree completion. The program and institution are accredited by the Council for Accreditation of Educator Preparation and approved by the North Dakota Education Standards and Practices for School Counselor Competencies. UND is ranked #205 in national universities by U.S. News and World Report. 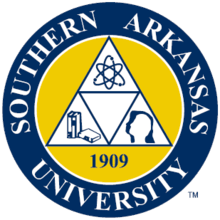 Southern Arkansas University offers an Online Master’s in School Counseling that prepares graduates to work in varied educational settings and make an impact in the lives of students. The 48-credit program includes courses like introduction to the counseling profession, assessment procedures for counselors, career counseling theory and practice, counseling children and adolescents, development and administration of school counseling programs, basic counseling skills, counseling in a diverse society, and human development for helping professionals. Students must complete a practicum in counseling as well. Designed for working adults, the online counseling program can be completed in 2.5-3 years depending on a student’s pace. Professionals who hold a valid Arkansas teaching license can opt for the K-12 add-on license. The program aligns with the American School Counselor Association’s National Model and National Standards. The University of West Alabama offers an Online Master’s in School Counseling designed for educators who wish to become a school counselor and are looking to earn master’s level education. Students gain the knowledge and skills they need to serve as effective counselors help students in educational environments. They learn various counseling techniques for multicultural populations and strategies for crisis intervention. The 100% flexible online format is great for working professionals who wish to continue working as they pursue graduate education. The 48-credit program can be completed in just one year. Courses include advanced educational psychology, diagnostic techniques for school counselors, strategies for crisis intervention, counseling children and adolescents, educational statistics, introduction to school counseling, and techniques of educational research. The program is accredited by the Council for the Accreditation of Educator Preparation. The University of West Alabama is ranked #107 in regional universities South by U.S. News and World Report. 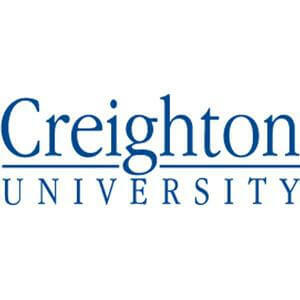 Creighton University offers an Online Master’s in School Counseling and Preventive Mental Health that gives students a well-rounded foundation is school counseling and all its related areas. Students learn about various aspects of child and adolescent development, develop strategies to help students cope with challenges. The 36-credit program includes courses like Professional Orientation to School Counseling, Ethical Guidelines for School Counselors, Introduction to the ASCA Model of School Counseling, Action Research in School Counseling, Issues in Child & Adolescent Development for School Counselors, Individual & Program Assessment in School Counseling, Theoretical Perspectives in School Counseling, Data-Driven Perspectives in School Counseling, Career Perspectives for Children & Adolescents, Individual Planning & Counseling Techniques for School Counselors, and Social Justice & Diversity in School Counseling among others. Depending on the choice of the program, students can choose from three specialization that helps them tailor their counseling degree according to their career interests. These specializations include elementary school counseling, PK-12 guidance counseling, and secondary school counseling. The curriculum aligns with the standards identified within the American School Counselor Association (ASCA) national model. 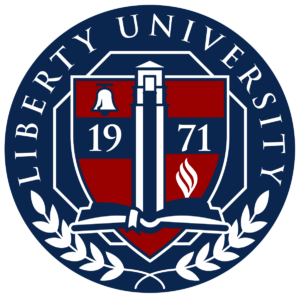 Liberty University’s an Online Master’s in School Counseling that prepares students to excel as counselors in the K-12 system. Students focus on ethics and techniques, family counseling, ethnicity, and career guidance to master counseling and psychology skills. They gain specialized preparation for credentials for a K-12 school position. The 48-credit program includes courses like school counseling program development and evaluation, career development and counseling, counseling theories and techniques, child and adolescent counseling in schools, principles of school counseling, and social and cultural foundations in counseling. Students must complete an internship to apply their knowledge to real-world experiences. Most students complete the program in two years or less. It is accredited by the Council for Accreditation of Counseling and Related Education Programs and integrates Christian principles to counseling best practices. 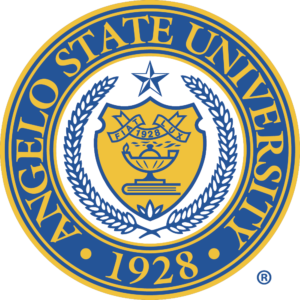 Angelo State University offers an affordable Online Master’s in Professional School Counseling program that is a great fit for working adults, especially students who wish to work as public-school counselors, college or university counselors, and other positions in the field of counseling in Texas. The 36/48-credit program includes courses like theories of counseling, career and occupational counseling, human growth and development, the role of the school counselor, group counseling, comprehensive school counseling programs, legal and ethical principles, curriculum and methodology trends, and social and cultural influences. In addition, students need to complete a practicum and a comprehensive program review. The 100% online course is delivered in an 8-week format. This program also prepares students to seek certification as a Texas school counselor as per the State Board for Educator Certification (SBEC) standards. Lamar University offers an Online Master’s in Counseling and Development that combines theory and practice of counseling best practices to prepare knowledgeable and proficient practitioners. Students learn to identify risk factors and apply appropriate strategies and techniques to meet the counseling needs of children and adolescents in various academic settings. The 60-credit program includes courses like child and adolescent counseling, group counseling theories and techniques, foundations of professional counseling, and individual counseling theories and techniques. It also includes a one-week residency at Lamar University and can be completed in as little as 22/30 months. Students must complete a 15-week practicum and a 15-week internship in his/her community before degree completion. Designed for working professionals, it is taught by the same university instructors that lead on-campus courses. 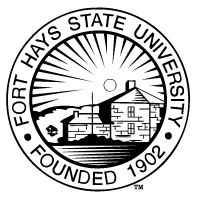 Fort Hays State University offers one of the leading and affordable Online Master’s in Counseling – School Counseling. It prepares students for state licensure as a certified school counselor. The 48-credit program includes courses like appraisal in counseling, foundations of counseling, theories of counseling, counseling skills development, lifestyle, and career development, and management of counseling programs. Students can complete this rigorous program between 3 and six years depending on their pace. Along with the coursework they also have to complete a practicum and an internship. Students develop the academic and social skills they need to succeed in a changing world environment and help their students plan and succeed in their futures. The program blends deep theory with real-world practical situations through the practicum and internship. Graduates are prepared to apply for a school counseling license in the state of Kansas. The M.S. in School Counseling is accredited by the Kansas State Department of Education and the National Council for Accreditation of Teacher Education. The University of Missouri offers an Online Master’s in Educational, School and Counseling Psychology. This accredited program is one of the most affordable in this niche since online graduate students pay in-state tuition. The 34-credit hour prepares graduates to work as mental health practitioners and career counselors within a variety of K-12 education settings, community-based health organizations, and private practices. Coursework includes foundations of school mental health, communication, and collaboration with children and families, developmental aspects of human learning, diversity issues in school mental health, and preventions and interventions in school mental health– policy and ethics. Most students earn their degree in two years. It is designed for Teachers, Community mental health professionals, School counselors, Administrators, Nurses and Coaches who want to take their career in education or counseling to the next level. The University of Louisiana Monroe offers an Online Master’s in Counseling – school counseling for students who wish to earn an advanced degree in the field. The program includes several career tracks like clinical mental health counseling or school counseling. Graduates go on to work as a mental health counselor, school counselor, career counselor, vocational counselor, addiction specialist, group facilitator, and more. Students are prepared to provide effective supportive, educational, and counseling services to individuals from diverse backgrounds in a wide variety of settings, including agencies and K-12 schools. Typical career choices include a School Counselor, School Administrator, High Education Counselor, Career Counselor, Vocation Counselor, and Consultant. The School Counseling program (M.S.) and the Clinical Mental Health Counseling program (M.S.) are accredited by the Council for Accreditation of Counseling and Related Educational Programs (CACREP).